Secular audiences were introduced to Switchfoot’s spiritual brand of alternative rock with 2003’s The Beautiful Letdown and the album’s mega-singles “Meant to Live” and “Dare You to Move.” While the group is still technically a Christian act (in that they’re still marketed in the Contemporary Christian music world), they’ve continued in the mainstream. 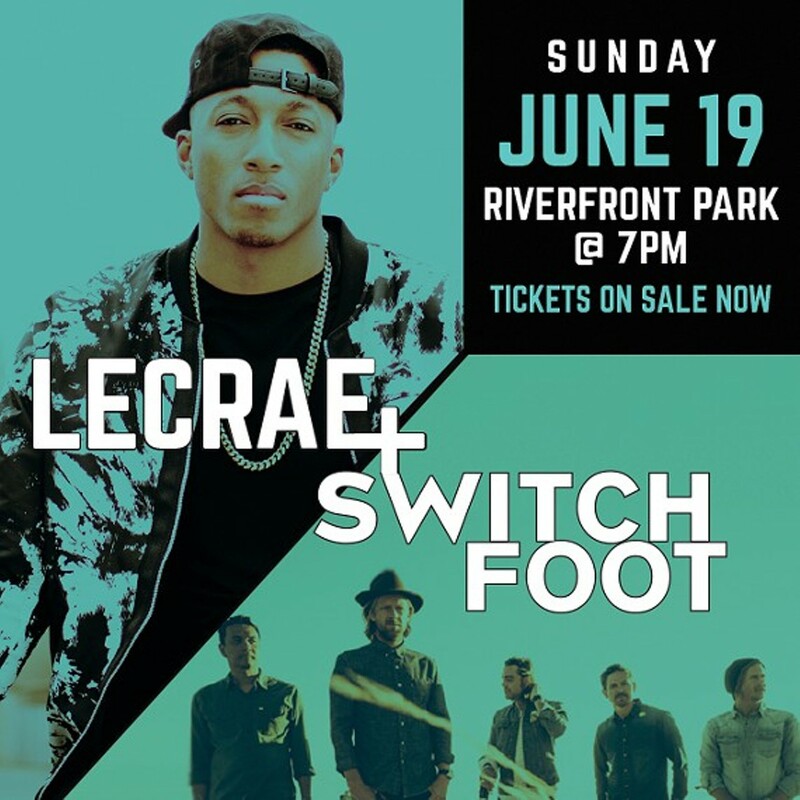 It makes sense that for their most recent tour, they’ve hooked up Christian rapper Lecrae, as both acts’ appeal goes beyond the faith label. Lecrae, in fact, is one of five Christian artists ever to have an album hit No. 1 on the Billboard charts. Be aware that the show has moved locations, from Riverfront Park to the indoor Martin Woldson Theater at the Fox.